There has never been a better time to be a fan of theme parks and themed entertainment. There are more theme parks and attractions in development now than there have been in the last ten years without question. The Goddard Group currently has four projects under construction and more in development. 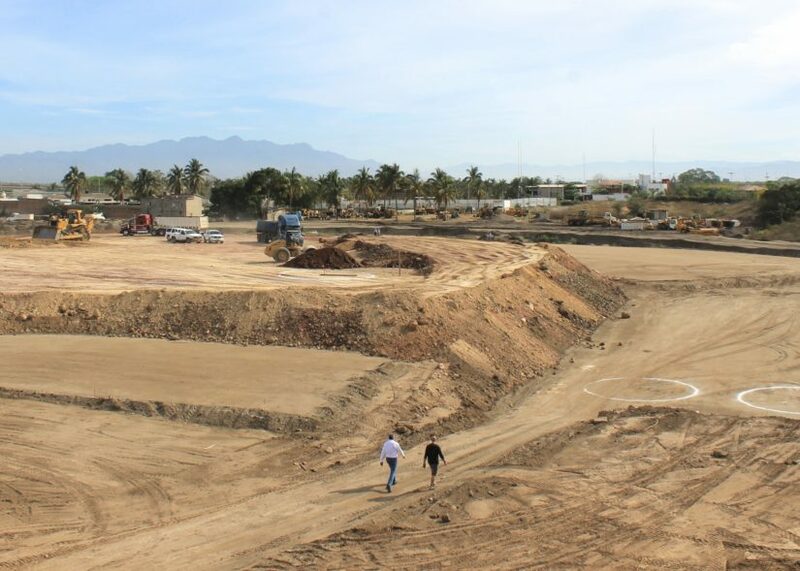 In Mexico, the much anticipated Cirque du Soleil theme park has already broken ground. From what I have seen and heard about this project, the water park will be absolutely incredible and will actually anchor the park during phase one. Being Mexico, the temperatures can be sweltering even during the winter months, so the park is also focusing on a massive nighttime entertainment package as well. Believe me, we will be following this park closely when it premieres in 2018. Over in China, the Goddard Group is creating a theme park and movie studio in Hengdian, just a short ride from Shanghai. 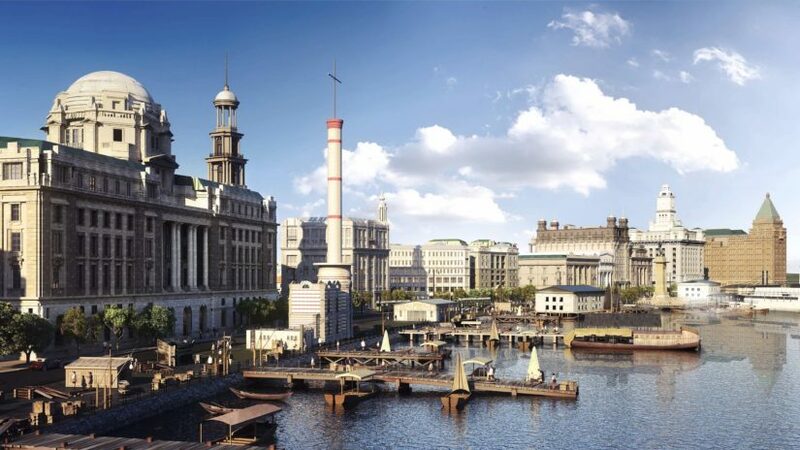 Seen above is the recreation of the Shanghai Bund as a new motion picture standing set, together with the first Hengdian Movie World theme park, is nearing completion in Hengdian, China. The combined Studio/Movie World Theme park is racing towards a mid-2017 premiere. Designed to double as both a theme park and working studio facility, Goddard Group designed the project so that nearly 30 film and television productions could be underway at any given time, all while seamlessly operating with the setting of a world-class theme park. Just a few hours drive from Hengdian, Haichang Group’s Shanghai Polar Ocean World is eyeing an early 2019 premiere. 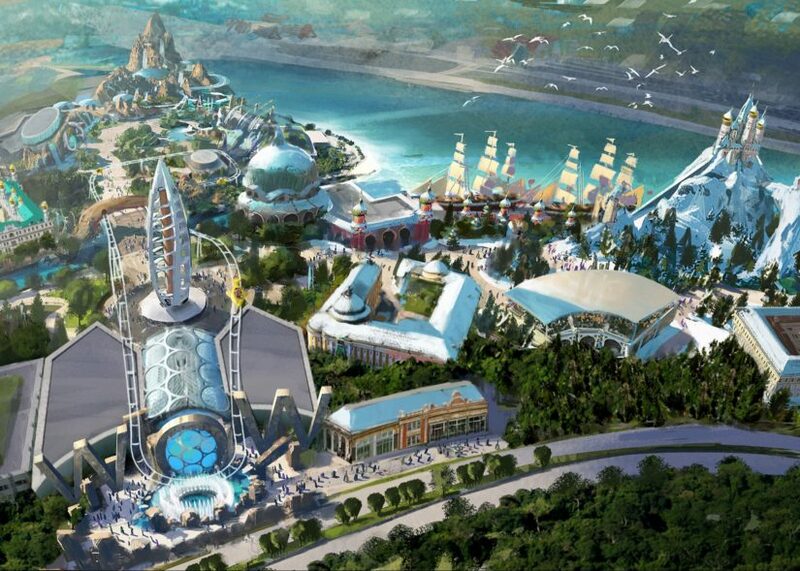 According to the Goddard Group’s Director of Design, Taylor Jeffs, the $600-million sea life park will be a unique experience in the market, and will offer a strong compliment to the new Shanghai Disney park. A few hours north in Harbin, KW Zone’s Kingdom of Poseidon resort recently resumed construction after pausing for the winter. The highly-populated city, famous for its frigid temperatures and sprawling ice festival, is currently devoid of year-round tourist attractions, making the Kingdom of Poseidon resort particularly competitive. 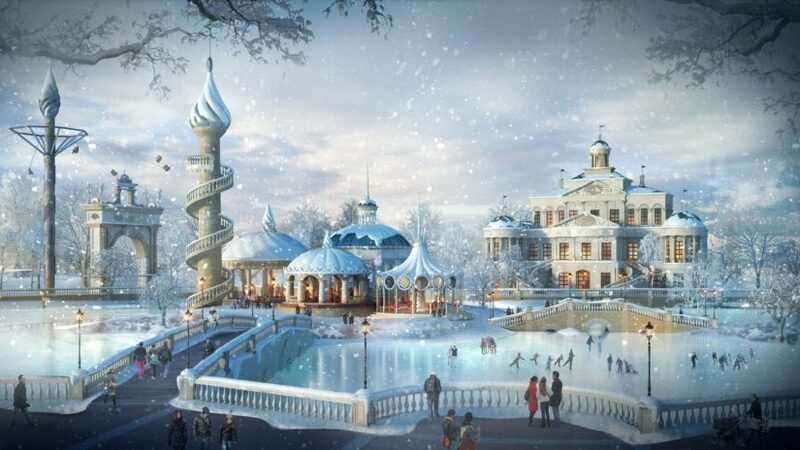 More than half of this park will be enclosed to create an all-weather year-round family destination. The integrated resort hotel, also designed by Goddard Group, will feature a family hotel connected to a variety of indoor entertainment attractions, including a water park, aquarium, and retail promenade. Additionally, Goddard Group recently signed on with respected Chinese-developer Chimelong, and is working closely with that company’s key design and management team on a new generation of exciting parks, resorts, and attractions. While details about this partnership are limited at this time, Goddard noted that this collaboration will cover multiple projects. Seriously, this is the most exciting time to be a fan of themed entertainment. We cannot wait to see what the future holds for all of these projects and more! This entry was posted in Theme Parks 101 and tagged Chimelong, cirque du soleil, Goddard Group, Polar Ocean World. Bookmark the permalink. Trackbacks are closed, but you can post a comment.